CBS hopes to block Shari Redstone, who controls a voting majority of the company, from combining it with Viacom. CBS chief executive Leslie Moonves just declared war on the network's biggest shareholder, Shari Redstone. CBS announced on Monday that it is suing its parent company, National Amusements, for breaching its "fiduciary duty." The lawsuit, filed in Delaware's Court of Chancery, is meant to protect the company's attempt to dilute the ownership of National Amusements, a move that would let CBS operate independently — and possibly stop Redstone from forcing a merger between CBS and Viacom. The suits accuses Redstone's actions of hurting CBS stockholders, arguing CBS has lost $7 billion in market capitalization since news of the talks began. CBS and a special committee, which was formed by CBS to weigh a proposed merger with Viacom, determined over the weekend that it would reject an attempt to combine the two companies and decided it needed to protect itself against retaliation, according to the lawsuit. Redstone is president of National Amusements, which in turn has an 80 percent voting share in both CBS and Viacom. The CBS lawsuit does not pull punches in its claims that Redstone's efforts to force CBS and Viacom together will be bad for CBS. "Through her control of [National Amusements], Ms. Redstone’s recent actions have led the Special Committee to conclude that she presents a significant threat of irreparable and irreversible harm," the lawsuit states. National Amusements fired back with a statement connecting the CBS lawsuit to allegations against an unnamed member of CBS's board of directors. "NAI believes CBS’s action today was precipitated following NAI raising specific concerns about incidents of bullying and intimidation in relation to one CBS director, dating back to 2016," National Amusements said in its statement. CBS said that it is planning to issue a dividend of stock to its current stockholders, a move that would reduce National Amusement's 79 percent voting interest down to 17 percent. CBS wants its own shareholders to have the right to elect the board. Redstone did not respond to a request for comment, but the two parties are headed for a showdown on May 17, when she will be expected to attend a meeting about the dilution of her voting shares. The dividend, if it takes place, would effectively liberate CBS from Redstone's National Amusements and allow the company to "operate as an independent, noncontrolled company," CBS said in a press release. It may also allow CBS to seek other potential merger options beyond the tie-up with Viacom. "She has sought to combine CBS and Viacom regardless of the strategic and economic merits of the transaction and to the exclusion of considering any other potential transactions," the lawsuit states. The lawsuit alleges that Redstone "unilaterally and without board approval" told a potential CBS acquirer not to make an offer. Verizon is that unnamed company, according to a source familiar with the company who was not authorized to speak publicly. Bruce Gordon, the head of the CBS special committee weighing the merger, is a former president of a Verizon unit. The two parties had also argued over differing valuations of Viacom. The valuation and proposals to replace board members also resulted in the surprise legal action on Monday, the source said. 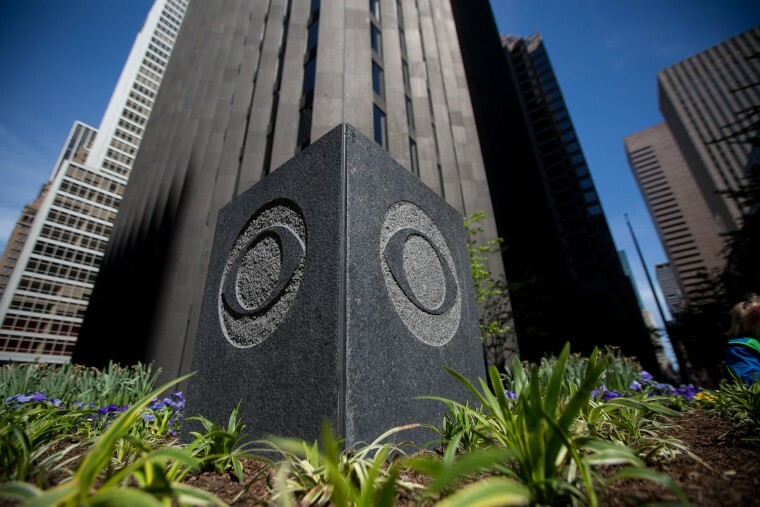 The CBS lawsuit said that the value of CBS has dropped by nearly one-third due to the Viacom merger talks, which have been highly publicized. CBS rose almost 4 percent on Monday after news broke of the lawsuit. Viacom's class B nonvoting shares declined almost 6 percent. Redstone's control of the two companies has resulted in years of controversy at both CBS and Viacom. Redstone was involved in a prior effort to replace some members of the board directors at Viacom in order to change the company's management. Redstone succeeded and Viacom's then-chief executive Philippe Dauman left the the company. CBS called Redstone's actions with regard to Viacom "a corporate coup." National Amusements doesn't own much equity in the two firms, but it holds 80 percent of the voting rights in CBS and Viacom, which were once part of the same company but were separated in 2006 in an effort to increase the value of each company. Since then, CBS has benefitted from big fees paid by cable operators for the right to distribute broadcast networks. CBS owns not just the CBS network but also Showtime and book publisher Simon and Schuster. CBS and Viacom had been in the throws of negotiating merger details including which executive would be number serve under Moonves, who had wanted his chief operating officer, Joe Ianniello to be his No. 2. Shari Redstone had wanted to install Viacom chief executive, Bob Bakish, under Moonves.